During this time of year, most of the yachts and cruisers are blocked up in boatyards and tucked away for winter. 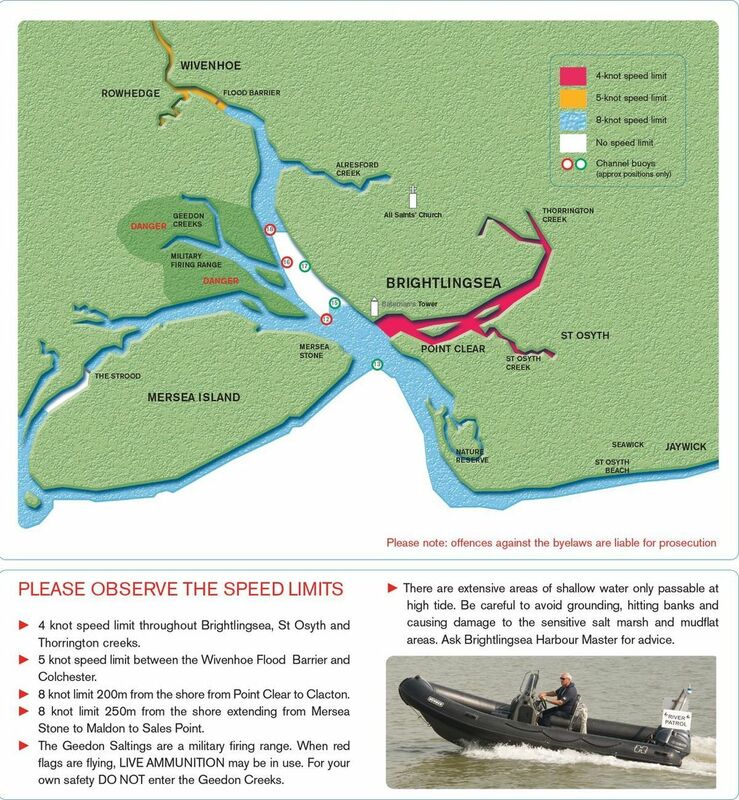 The quiet waters around Brightlingsea see very few leisure craft out so when you are tempted to go out please do still remember that speed limits STILL apply. You need to watch your speed. Now while it may seem that no one is around to implement them members of the public can still report you and if they can provide sufficient evidence – simply some photographs of the boats name and the size of wake its producing – that is enough for the river police to track the owner down and fine the skipper. As recently was the case of a motorboat being used near Batemans Tower. Seen startling a flock of birds that were being photographed by someone at the time! So, the message here is two-fold: Watch your speed! Abide by the speed limits no matter what time of year (see diagram) AND be respectful of all wildlife in and around area.